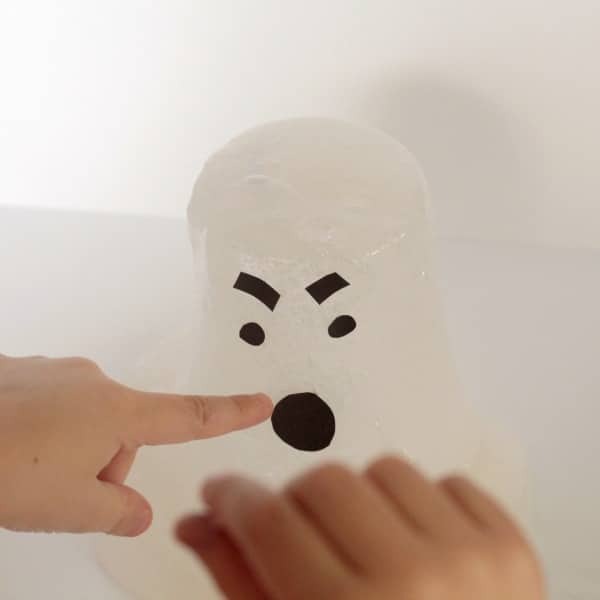 If that didn’t scare you, perhaps this ghost slime will! 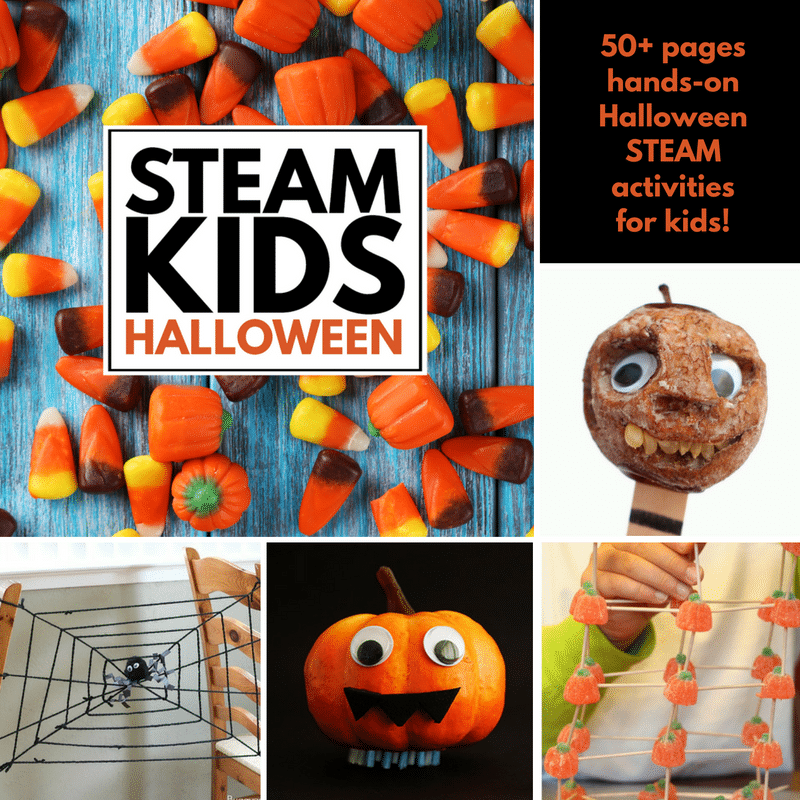 During Halloween, I love to use Halloween STEM activities are a fun way to bring the creepy side of Halloween into the classroom. Nothing is slimier and grosser than slime recipes, but this time, we’re giving our slime a supernatural twist by turning it into ghost slime! 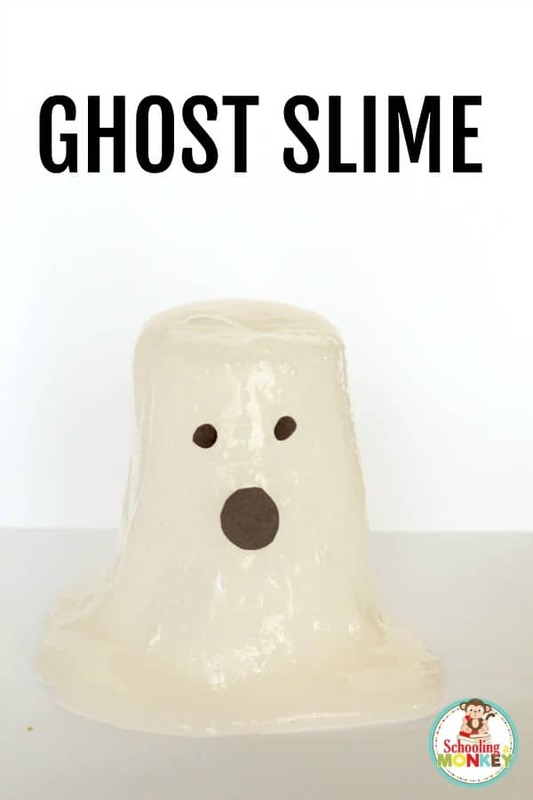 Follow along to learn how to make this super simple and easy slime recipe for Halloween! If you get stuck, check out our slime troubleshooting slime post for more info. Ghosts may be creepy, but they don’t have to be scary. 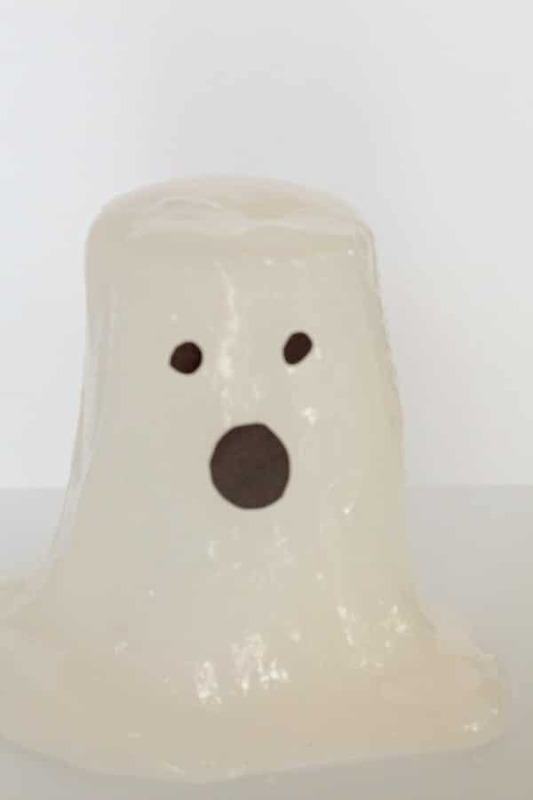 Adorable ghosts are a staple of any kid-friendly Halloween, and you can make your science class a bit more fun this Halloween by bringing in some ghostly flavor. 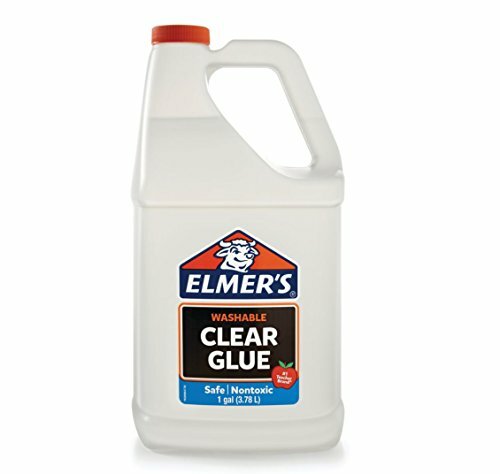 We always use a ratio of one part glue, one part water, and one part laundry starch for our slime. We like this texture and the stretchiness of it. Occasionally, we’ll put in a bit less water for a slightly thicker slime. 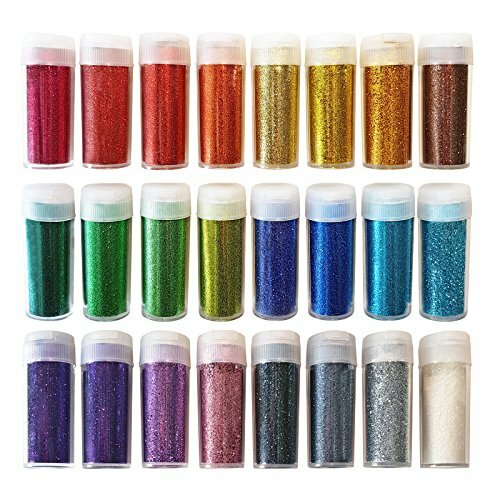 Mix your glue and water together. 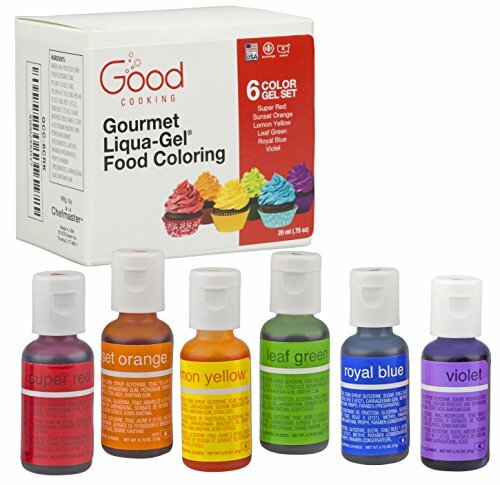 Don’t add any food coloring. Add in the starch. Stir. 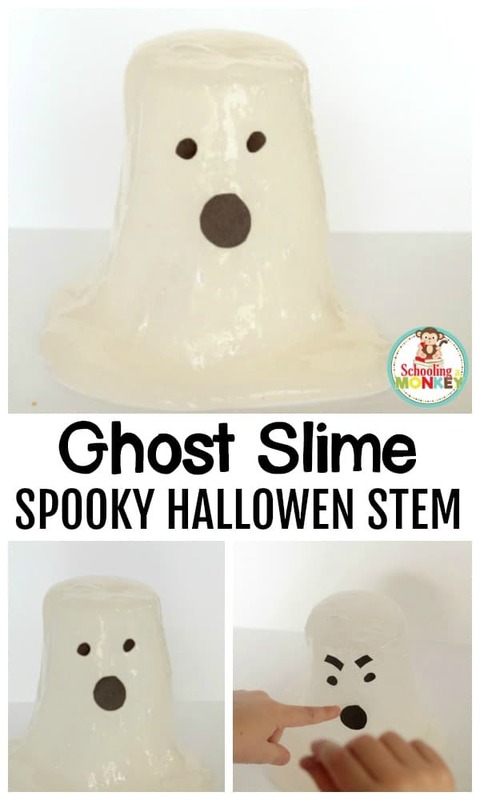 Once the slime has set up (it won’t be cloudy any more and you’ll be able to touch it without it feeling sticky), you’re ready to make your ghost. Cut out ghost eyes and a round ghost mouth from your paper. You can also cut out eyebrows to make your ghost angry. My kids wanted an angry ghost for some reason. Drape the slime on top of the upside down cup on a table, and let the slime work it’s way down. Add the ghost face to the slime over the cup. If you’re wondering why slime is used so often in science demonstrations, it’s because slime is a clear result of chemical reactions and chemical bonds. When the borax in the laundry starch mixes with the glue, it makes flexible polymer chains. 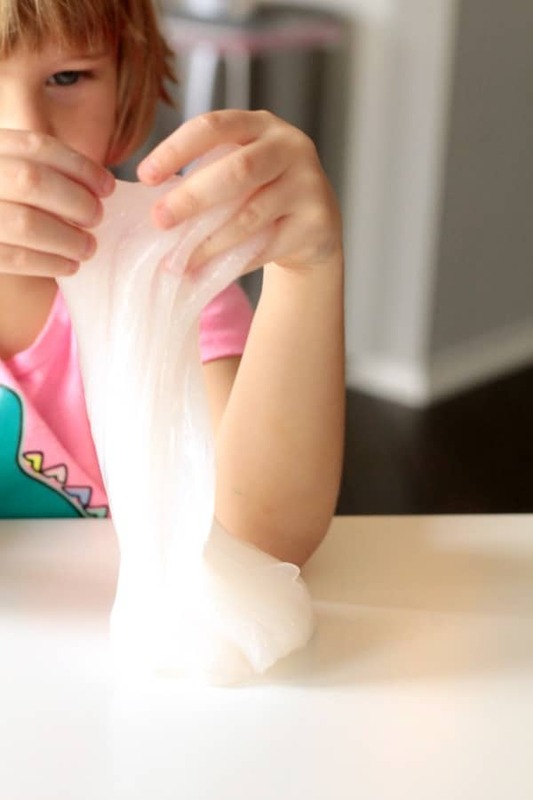 Kids love slime, so by making it, they start seeing how fun science can be!